Time for another Nepali blogger to be featured and this time it is Miss Dolkar Lhamo from Kathmandu, Nepal. An exclusive interview with the blogger from Nepal, where she talks about her blog, fashion, food, her personal style, photography and everything that describes her the best. Hello Dolkar, could you start by telling us a little bit about yourself? I still haven’t excelled my introduction part. Whenever I am told to speak about myself, I get stuck instantly. Should I say my actual name or the name that I name myself? The world is confusing or maybe, it is just me. Anyways, my name is Dolkar Lhamo and I live in Kathmandu, Nepal. 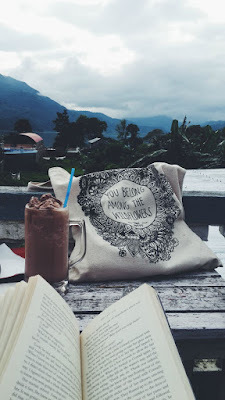 I love gloomy days, light rain, my sister’s yum paneer curry and the ama who sells roasted makai under the big Pipal tree in Ekantakuna chowk, a full time dreamer, always dreaming to escape for wanderlust and a part time lover. I am very confined to who I sprinkle my love to, not really a naaiiicee person at the first meet, vegetarian since 11 years and a garlic bread fanatic. Followed by pictures of my fancy food, some poems and my outfit details and I guess that is how it all started, A Silent Wanderer. .
‘A Silent Wanderer’ why that name? Could have been “The Happy Hippie” but this sounds a little too cliché no? Jokes. A Silent Wanderer because I love travelling, constantly exploring and if I am not, I am easily bored. Since I am a Personal Life & style Blogger I thought, this name defines me best. I’ve always been inclined towards style to describe my persona. My style is untroubled, free spirit yet simplicity on firm. I’ve always found your style a little different from the mainstream fashion bloggers. The street style influence you have in your pictures and personal style. Can you tell us a bit more about it? Thankyou. This makes me happy to know that you find my style different. The mainstream fashion is effortless and if you can afford, you are fashionable. But to be different is coming out of the cubical, being accepted and to be able to persuade is the achievement. One thing I love about your blog is that it is more like a style diary. You travel and take pictures in places and make the world your stage. What do have to say that and about keeping fashion photography limited to studios and indoors? I keep my blog as a sphere to content me. I am not confined to just one substance. 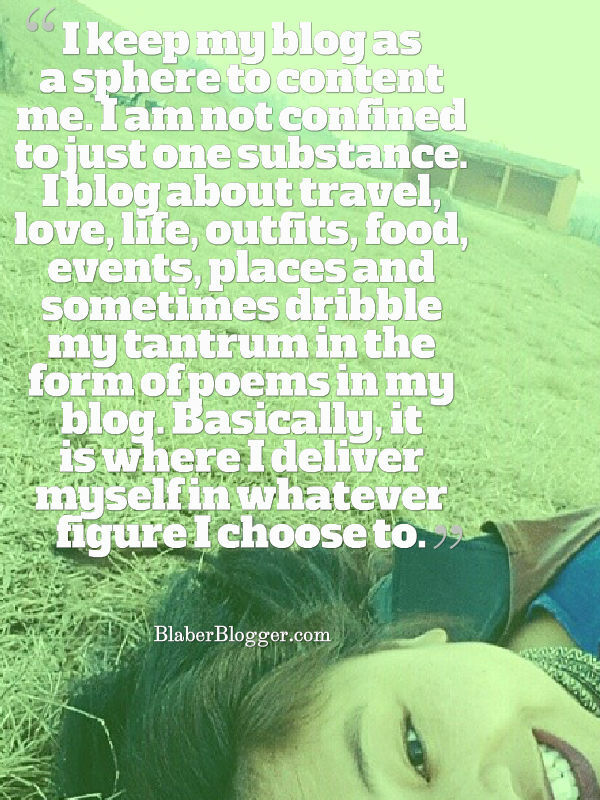 I blog about travel, love, life, outfits, food, events, places and sometimes dribble my tantrum in the form of poems in my blog. Basically, it is where I deliver myself in whatever figure I choose to. And about the photography; well, I’d say it ranges from a person to person. I prefer both outdoor and indoor shoot depending on my story. I’d shoot indoor when I am feeling shut down. Likewise, outdoor shoot because the atmosphere is natural and lively. Bahahah (Let me laugh a little before I answer) I don’t know. There isn’t a particular warehouse that I get my stuffs from. Sometimes I’d be wearing my mommy’s cardigan; the other day strolling in the old creepy alleys around ason/Basantpur for the creepy creepy vintage finds. For accessories, I can be particular because I am mostly at Masala Beads for their bohemian vibes. I have been in the blogging scenario for almost 5 years now and I can say that the blogger’s community is growing. There were only a few bloggers when I first started and to see now, the turnout is overwhelming. People have started recognizing what Blogging is and the possibility to reach mass Blog-o-sphere. If you would have to give up blogging, what would replace it with? Where do you find inspiration for your blog post? The Suarez Sisters inspire me totally. Other in the list is Rosalinda Tjioe. What are your plans for your blog in the next year? NO. No plans *reacts instantly* But hopefully, I will do more blog posts in collaborations with fellow bloggers. What does the biggest tip you have for anyone who wants to start a fashion blog or website? 2. Please, don’t be typical. My sister takes my outfit photos. She probably is the only person who understands what kind of photo angles I prefer... Other than that, the pictures of the clouds, random passersby, umbrella, rivers, I take those pictures. What do you want to do with your blog in the days to come? Are we going to see more interesting posts and contents and something different? My blog will be the reflection of me. If you see any changes in my blogpost in days to come, learn that I’ve changed too. I will only portray who I am and what I have become and sharing you what I want to do with my blog in future is hard to say for me now. Just pray that I keep growing more fun and interesting and that adventure never leaves my soul. Is there is anything I miss out and you’ll like to talk about it? Not specifically, but I just want to share that I love dogs. Besides dreaming of travelling crayy crazy, I wish I had tons of money so I can buy a house for me and live with the dogs I want to adopt. I also have few children in my heart who I wish could live with me and I could provide them good education. I also want to learn how to communicate with animals so that whenever I see a cow in the middle of the busy road, I’d tell the innocent soul that it is not safe and that there is a safer place for her to reside.